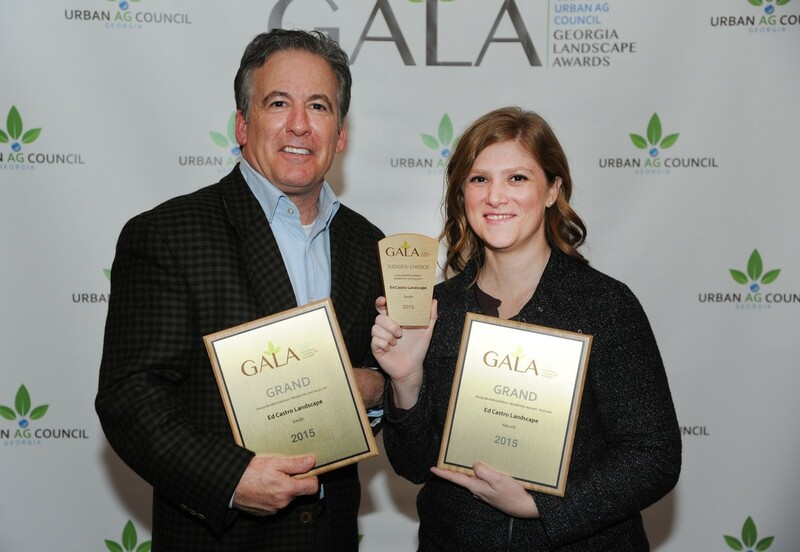 Ed Castro Landscape won two Grand Awards and the prestigious “Judges’ Choice” award at the Georgia Urban Ag Council’s “Georgia Landscape Awards” ceremony held at Piedmont Park in Atlanta. The Alecxih Residence and Smith Residence both won Grand Awards, and the Smith Residence also won the Judges’ Choice Award. Ed Castro was on hand at the ceremony, along with the lead designer on the two projects, Hannah Seaton, who received the awards.